Some adoptive parents struggle to find the perfect time to talk to their child about adoption. How do you bring the subject up? How do you handle the situation? Most importantly, how do you tell your child they are adopted? It’s a delicate subject and one that must be treated with the utmost love and kindness. In this article, we will explore some tips and strategies to help adoptive parents, like you, talk to their children about adoption. If you’re waiting for the perfect time in hopes that your child will be able to better handle the information when they are older, stop delaying the inevitable. There is no perfect time to talk to your child about adoption. And the longer you wait to bring up the subject, the more difficult the conversation can become. You may be surprised at just how emotionally mature your child is. “Our general philosophy is tell them early and tell them often,” says Tom Swanson, a North Carolina dad of four adopted children. “Part of it was to get us used to using the words, before they really even knew what we were talking about,” adds his wife Linda. Speaking with your child early about adoption will help normalize the subject in your household and allow the child to better accept their reality. The important thing is to tailor the message to the child. For example, if your four-year-old asks you where they came from, “use a storytelling technique and language that can be grasped by a four-year-old,” says Susan Fisher, MD, co-author of Talking With Young Children About Adoption. It’s all about making the conversation relatable to the child, no matter the age. 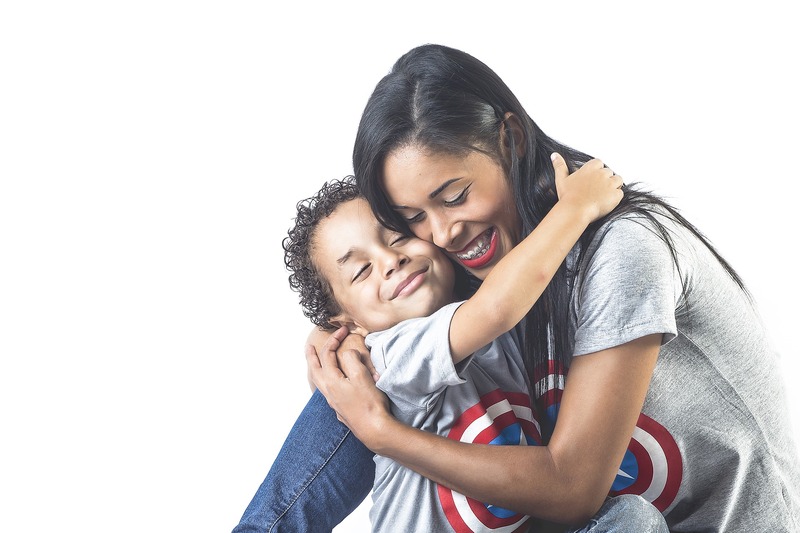 “As adoptive parents, we want to make it all better,” says Debbie Riley, MFT, executive director of the Center for Adoption Support and Education (CASE) in Silver Spring, Maryland. “We want to take away the loss and the pain for a child.” However, that does not give you the right to alter reality and bend the truth. “Developmentally appropriate storytelling doesn’t give you license to replace missing facts or soften harsh ones,” says Russell. It is important to be honest, but also positive. In many instances, how we speak is just as important as what we say. This is perhaps never more true than when speaking with a child about adoption. This is why Positive Adoption Language, first created in 1979, is the preferred language used by Adoption Makes Family. Chances are, the conversation about adoption will be ongoing. “We’re asking children to try to understand complexities about their adoption stories that sometimes adults can’t understand,” says Riley. “Sometimes the information is too emotionally laden for the child. Developmentally, he might not have been able to process it.” So, it is important to be willing to talk to your child whenever they have any questions. “Repetition helps a child absorb the concepts surrounding adoption,” says Russell. “Adopted children deserve to have the adjective dropped,” says Ann Brenoff, Senior Writer/Columnist, The Huffington Post. Adoption is a completely normal way to build a family and should be treated as such. Some parents are afraid to bring up the subject of adoption, fearing that their children will no longer look at them the same way. Brenoff, Ann. “8 Things Adoptive Parents Should Never, Ever Do.” The Huffington Post, TheHuffingtonPost.com, 3 Nov. 2014, www.huffingtonpost.com/ann-brenoff/7-things-adoptive-parents-should-never-ever-do_b_6043650.html. Russell, Barbara . “Talking About Adoption with Your Adopted Child.” Adoptive Families, 22 July 2016, www.adoptivefamilies.com/talking-about-adoption/talking-about-adoption-with-children/. This entry was posted on Friday, February 2nd, 2018	at 3:09 pm	. You can follow any responses to this entry through the RSS 2.0	feed. Both comments and pings are currently closed.